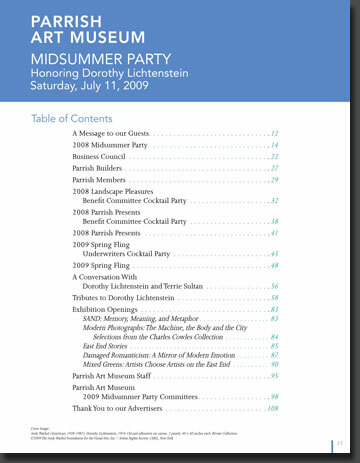 The journal for The Parrish Art Museum's annual Midsummer Party fundraiser, which commemorates the year's gallery openings, events, and contributors. The journal is 180 pages perfect bound plus cover and includes over a hundred high-end advertisements. This year Dorothy Lichtenstein was the honoree.